Achieving Effective Inventory Management, 6th Edition, based on our most recent research and up-to-date “best practices”, provides a complete guide for managing a large and often troublesome asset: inventory. The economic challenges facing distributors today have resulted in EIM conducting a thorough review and update of the entire 5th edition. This update, coupled with discussions regarding the impact and adjustments that the current economic challenges have produced in all areas of inventory management, has produced our new 6th edition. This book helps you achieve the goal of effective inventory management — to meet or exceed customers’ expectations of product availability with the amount of each item that will maximize your organization’s net profits or minimize its total inventory investment. Chapter 1. What Are You Going to Stock? Chapter 13. Let’s Get Started! 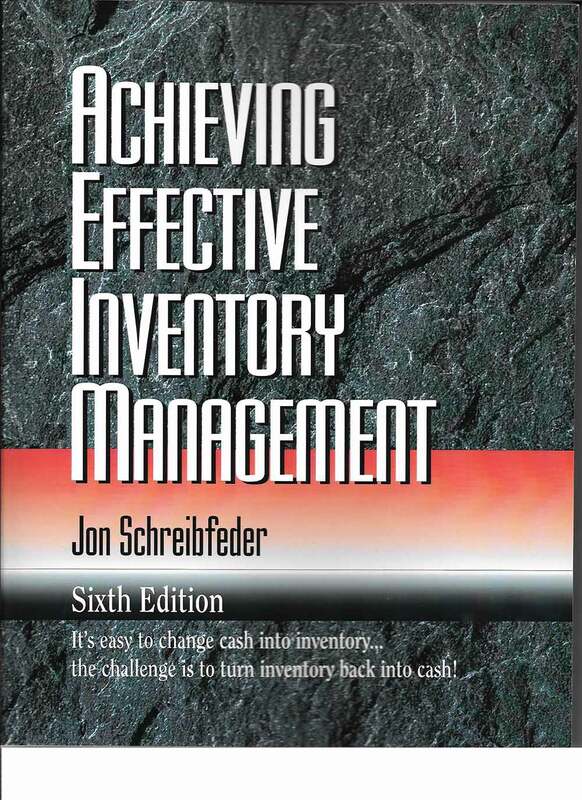 Order Achieving Effective Inventory Management, 6th Edition online at the Online Store or you can fax the order form to our secure fax at 972.393.1310. If you have any questions, contact us at 972.304.3325 or email tinasna@effectiveinventory.com.